Many thanks to John Capitanelli, CVTA's Americorps Member 2014 and 2015. 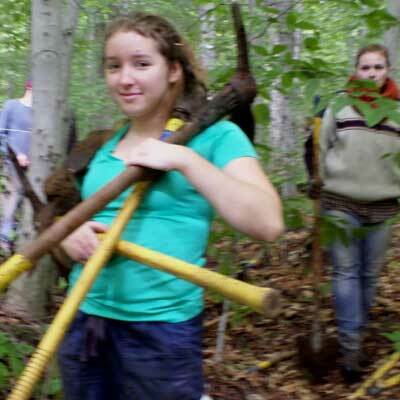 He spent two summers helping lead groups of volunteers out on trail projects. John joined us from New Jersey via Calais, and did a stint of service work in the community while starting college in Vermont. 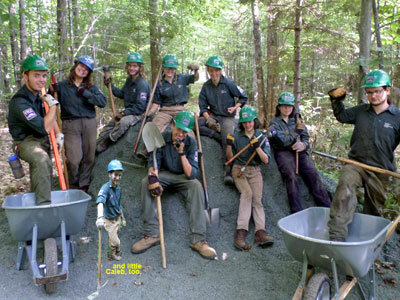 Thanks to the strong Vermont Youth Conservation Corps crew upgrading the Telephone Line Trail in Groton State Forest! They've just wrapped on 3 weeks of great work. 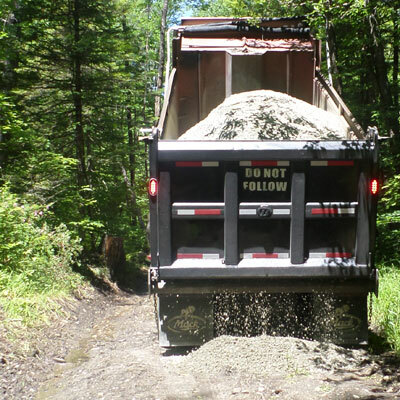 Folks from CVTA helped support the crew, in our ongoing effort to be a part of the partnership helping to build out the multi-use trail network in the State Forest, of which the Cross Vermont Trail on the railbed is a central piece. We'll be out there more in August and September. Local volunteers can make a difference by joining in for as little as a few hours - give a call to learn more . . . 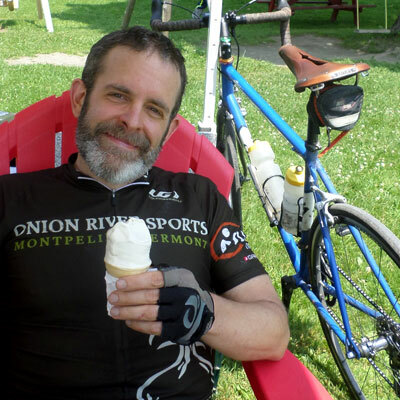 Pleasant day at the Central Vt Cycling Tour "sun date". See you next year for the return of the big event, June 26, 2016! Fixing "the puddle" south of Rickers Mill, yesterday. 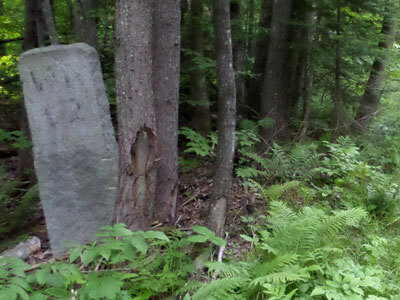 At Milepost 12 on the Montpelier - Wells River Railroad (which is a little over 12.5 miles from WR on the XVT cue sheet, Map #3). 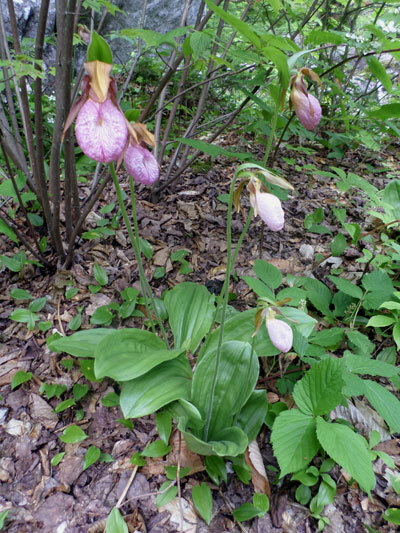 Popped up along the trail this week. 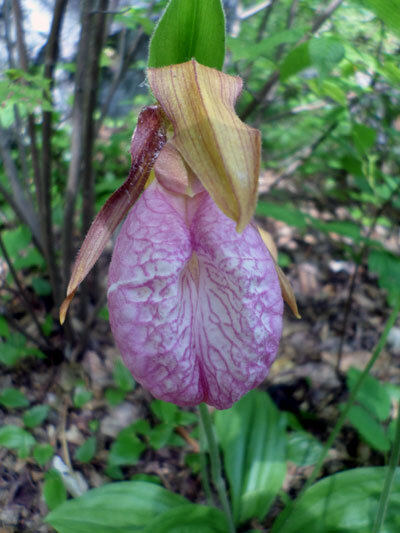 If it's not in the Vermont Invasive Exotic Plant Fact Sheet Series , I'll be at a loss to identify. 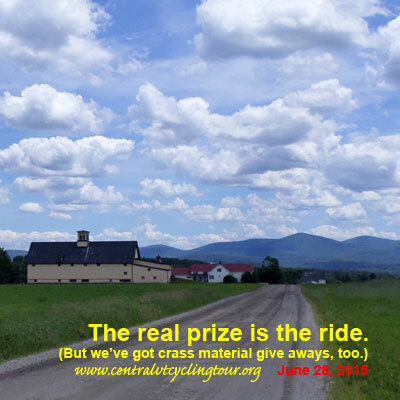 Prizes announced for big (little) drawing at 6/28 Central Vermont Cycling Tour and CVTA Annual Mtg. 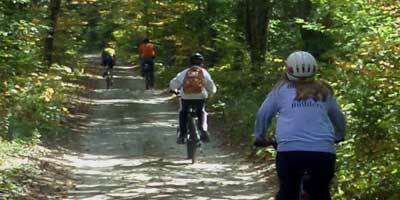 Four season unlimited trail family pass at Kingdom Trails. And free registrations for upcoming bike tours. 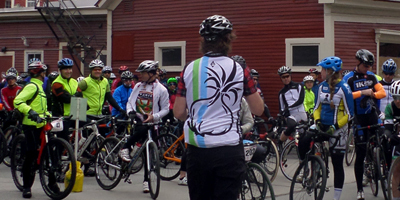 Champlain Islands Bike Tour, 7/11/15. Champ's Challenge for Cystic Fibrosis, 7/19/15. Drawing is at 2 PM. You don't need to be present to win, so ride at your own pace, content in the knowledge that a prize MAY be awaiting you at the finish line. Or a consolation piece of blueberry pie, either way. Saturday June 6, 2015; 9 - Noon. Two exciting locations for your location excitement twoness. 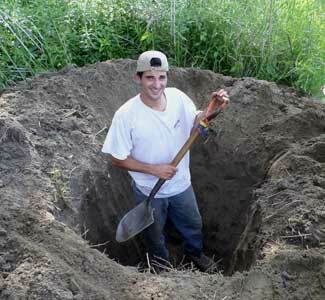 PLAINFIELD: Meet at the Park and Ride in the village, and we'll car pool to work site from there. NEWBURY: Wells River Conservation Area Trails. Meet at Blue Mt. Union, and we'll walk down to the trails from there. Plus, you know, it's national - lots of options. 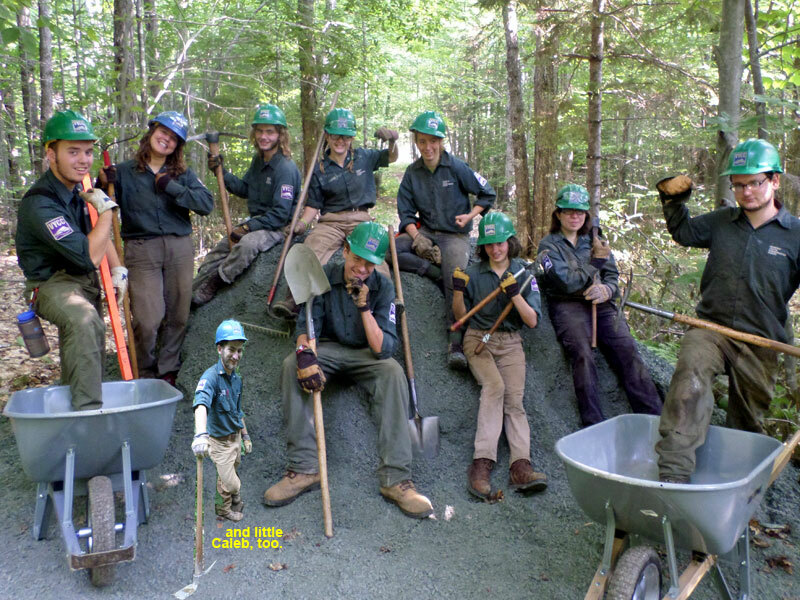 www.nationaltrailsday.org. Or maybe you want to change things up and enjoy a quiet NTD at home without all the decorations and commercialization? Want to simplify? Come out on a different Saturday morning instead - we'll be working all summer - give a call to find out where each week. View of Camels Hump from bike path in South Burlington; beneath the moons of Mars. 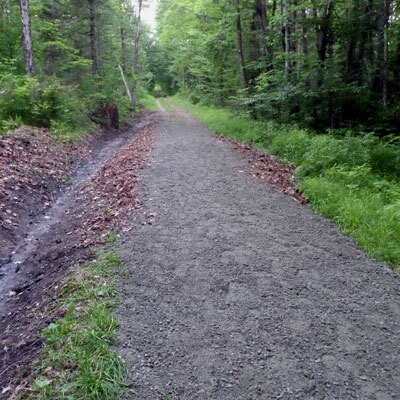 Freshly graded trail in Groton State Forest, season officially opens. 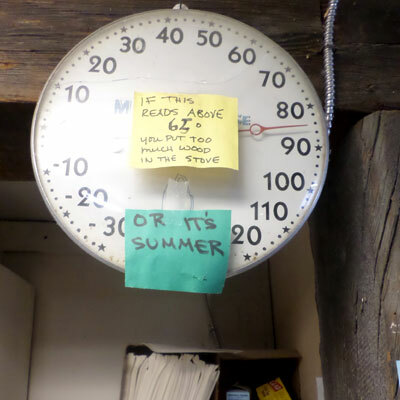 Thanks to folks at Vt State Parks! I was second person to make tracks here yesterday. They used to say no one remembers second place, but that was before the internet. "No Parking - street cleaning" says the sign on Lanesboro Rd. Even a joke sign is right once a year. 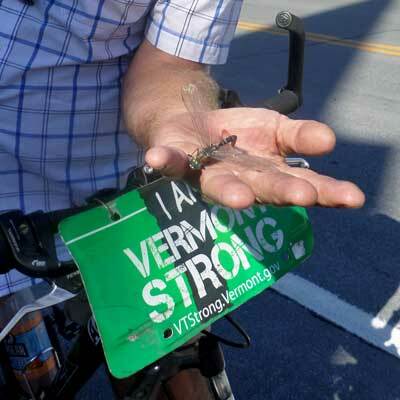 Beautiful sunny Green Up Day with Cross Vermont Trail folks yesterday in Groton, Peacham and Marshfield. Green Up Day on XVT. It'll be like on of those trendy gravel grinders, but slower, and with trash bags. And slower. 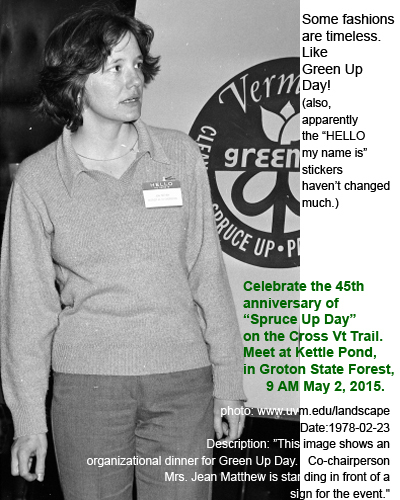 Meet Saturday May 2, 9 AM at Kettle Pond in Groton State Forest. We'll work our way up the railbed west towards Marshfield. 215 riders at the Muddy Onion. Fun time today, big crowd! Muddy Onion Spring Classic Gravel Grinder. Just a few weeks away! (Hopefully things don't dry out by then. Or stay frozen. This is a real Scylla and Charybdis.) April 26, starting in Montpelier. 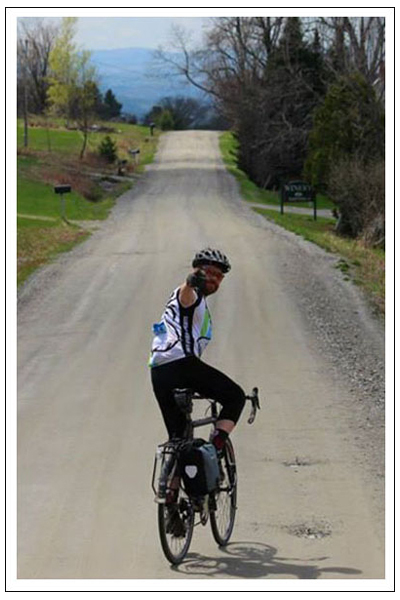 A 34-mile, supported bike ride with plenty of beautiful views and beautiful climbs. 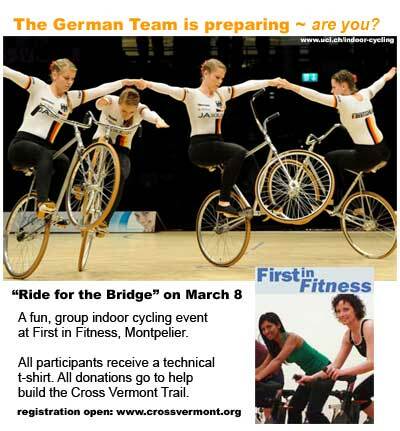 It's a fund raiser for Cross Vermont Trail "Build the Bridge! ", and is being run by Onion River Sports. Full details at ORS. 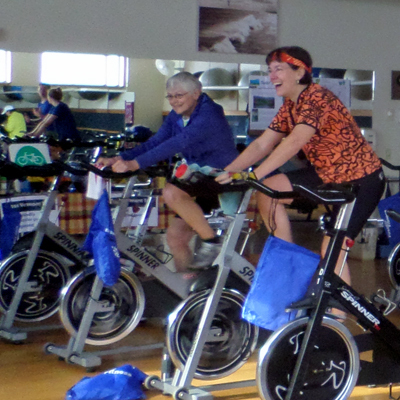 Fun morning last Sunday at the First in Fitness indoor cycling marathon. We raised over $1,000 to help "Build the Bridge!" Folks were working hard, three hours without a downhill to coast on. But, it seemed to go by fast. I especially like that the music mix included one Waylon Jennings song. Next year I say let's just put on "Dreaming My Dreams" and let it play through? There's a little write up at the FIF Facebook page. Updated: Video posted to VPT website or on youtube. We're on TV tonight. That's the big time. 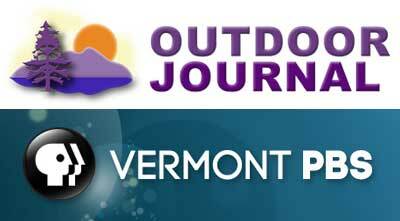 Tuesday Feb 24 7:30 PM on Vermont Public Television's "Outdoor Journal". The guys from VPT joined us last September for the Fall Foliage Tour. There was at least one epic crash caught on film I know; let's see if they can sneak that one past the insurance companies and get it on the air. 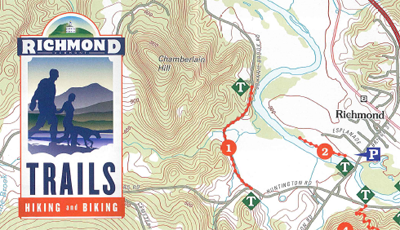 Big new map just published for trails in Richmond, put together by the town trail committee. You can get a real copy at the Richmond town offices, or we've posted up a pdf on the CVTA maps page. Celebrate the New Year in the fresh air! Join us on a First Day Hike. 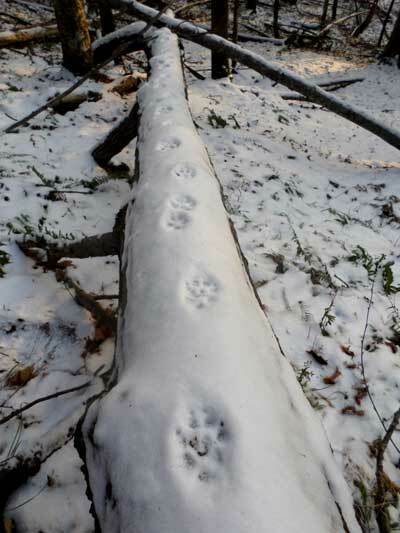 We're meeting Jan 1, at 10 AM, at the parking area for the Long Trail on the Duxbury Road in Bolton - for an easy going, family friendly hike which will explore for glimpses of the little wonders of life in the winter forest. 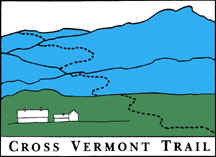 For details, and for a listing of all the First Day hikes statewide, go to the Vt State Parks events calendar. Thursday, December 11 - Onion River Sports movie night at the Savoy in Montpelier. 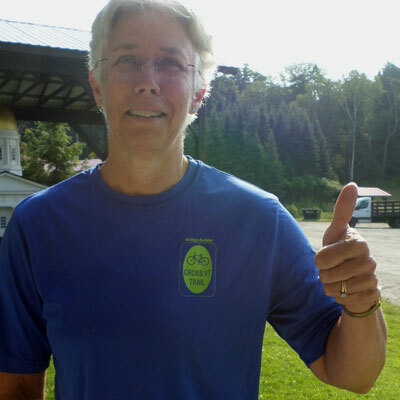 Proceeds to benefit the Cross Vt Trail. Thanks guys! Doors open at 5:30, movie rolls a little after 6 PM. Details: at the ORS Facebook. Big night. Over 100 people gathered Saturday 11/22 and it was good time. We raised $14,000 to help "Build the Bridge." Good start! Thank you to everyone, and please help spread the word . 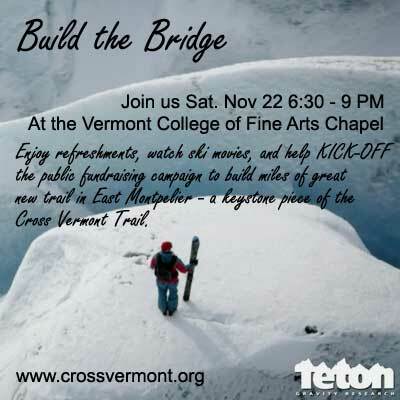 . .
You are cordially invited to the Cross Vermont Trail Association’s Build the Bridge Campaign kick-off at Vermont College of Fine Arts chapel; Saturday, November 22, at 6:30 p.m.
SEE the world’s best skiers and riders revel in Alaska’s most awe-inspiring terrain in the adventure film The Dream Factory produced by Teton Gravity Research. 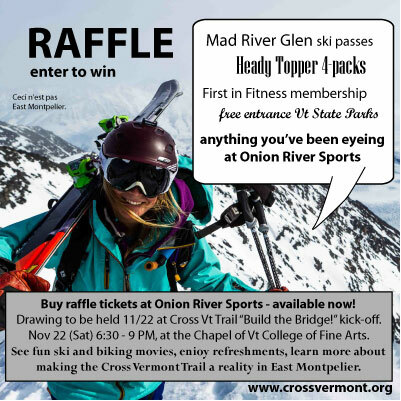 WIN raffle prizes from Onion River Sports and Mad River Glen. Raffle tickets can be purchased during the evening. 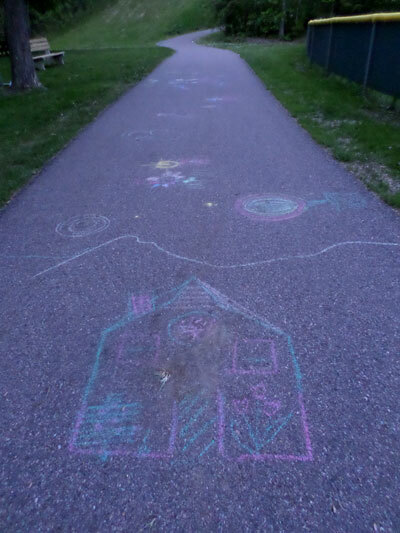 SUPPORT the CVTA’s work to build a foot and bike bridge across the Winooski and extend the trail from Montpelier far into East Montpelier. TASTE good food & drink: Refreshments will include a cash bar with beer from Three Penny Taproom, and light snacks of Vermont food specialties. LISTEN: To some brief presentations about the bridge project. $20 for adults, $10 for 16 and under, and $45 for a family of four. The chapel is on the second floor of College Hall; the entrance faces College Avenue. Free parking available on the green or at any college lot. For more information, contact us any time. Lakes and leaves. Burgers and cobbler. 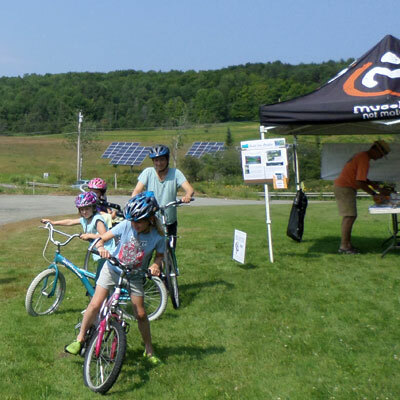 Many smiles at Montpelier Alive fair yesterday - it was fun to run the Dunk Tank, and to get a chance to spread the word a little more about building the bridge - tying the Montpelier bike path into the Cross Vermont Trail to East Montpelier, Groton, and across Vermont. 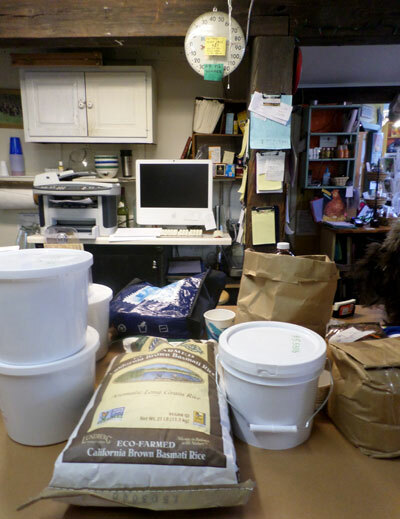 Last but not loafing in the summer 14 recap - many thanks to all the folks who camped out and spent several weeks making trail with us all during August. 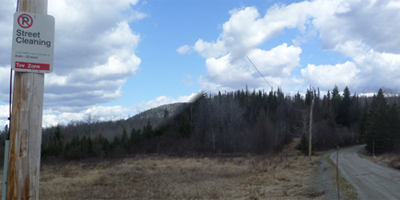 We took another swing at building out the multi-use trail network in Groton State Forest - it's really starting to come together there - the arc of history is long but it bends towards an awesome trail network. You can help - jump into an upcoming crew or give us a call about when your group or club might like to help out - I'll bet we can find a good project! And happy to be tying a ribbon on some 2011 storm rebounding as well. 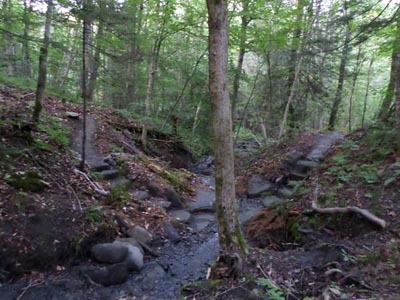 We've spent the last few years partnered with East Montpelier Trails helping to recover the hard hit Mallory Brook Trail and the work there is now DONE. Justifying rare use of all caps, to boot. Thanks to all the helpers and trail crew members from: East Montpelier community, East Montpelier Troop #742, Spaulding, U32, Norwich University, Unitarian Church of Montpelier, Northfield Savings Bank, Volunteers for Peace, American Hiking Society, Green Mountain United Way, Vermont Youth Conservation Corps. See you on the trail! Photo gallery at Facebook, where else?. Been a busy summer for volunteer projects. Happy to be returning, some of the time, to regular maintenance work, after scrambling on storm damage so much in recent years. 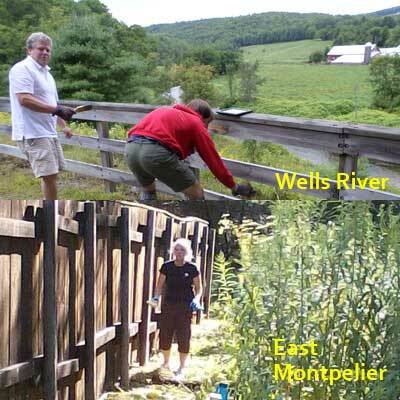 Newbury Elementary School teachers helped stain a fence along the trail in Wells River. And folks from Northfield Savings Bank along with Green Mountain United Way provided some TLC for a fence along the trail corridor in East Montpelier. Boy howdy that summer went by fast. 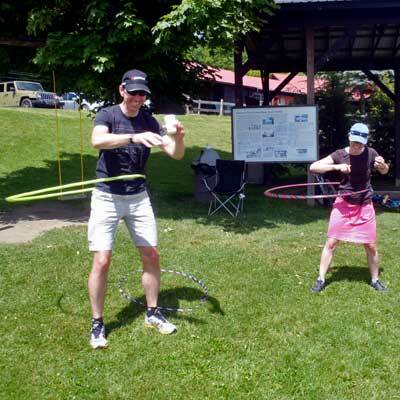 The Central Vermont Cycling Tour last June was a big success happy to report - there was even some hula hooping in deed. 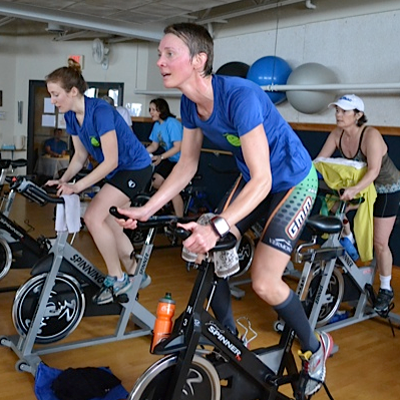 More photos and informal results are posted at the event page. See you next year! 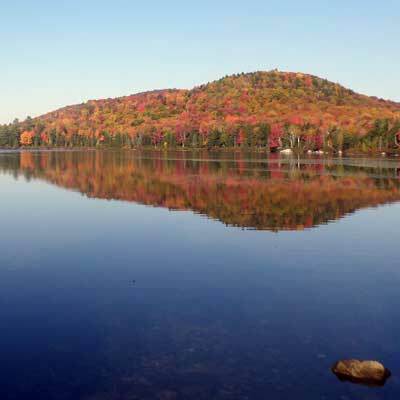 Or sooner, perhaps - Fall Foliage Bike Ride is coming up Saturday September 27. 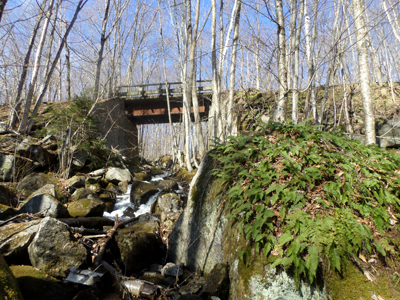 Meeting at Kettle Pond, 9:30 AM for an easy going cruise on the rail trail followed by a cookout in Wells River. 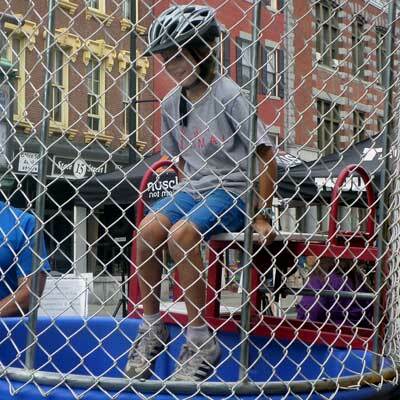 Montpelier Alive has asked us to run the Dunk Tank at their 15th anniversary party on State Street tomorrow. I think that means they trust us - to DUNK people. And sometimes that's enough? 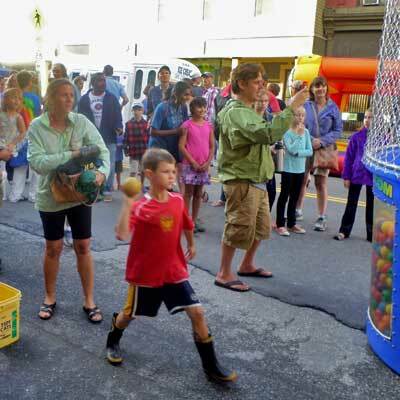 Anyway, looking forward to helping celebrate Downtown Montpelier, Sat Sept 6 starting 4:30 PM on State Street. It's a carnival. 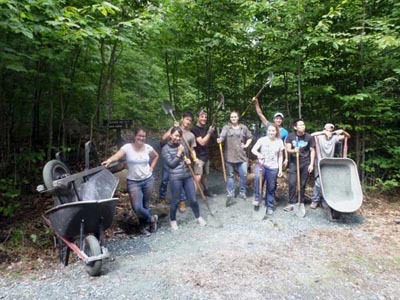 Summer volunteer trail crew season - in full swing.